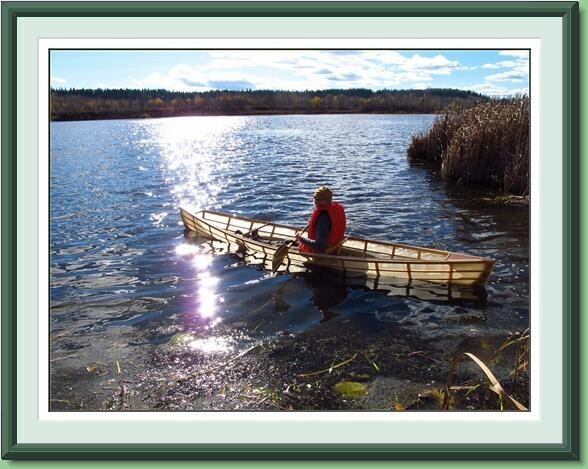 …we tested two of Brian’s Ultralight canoes; a 10 foot single canoe and a larger 14 foot double of similar design and construction. 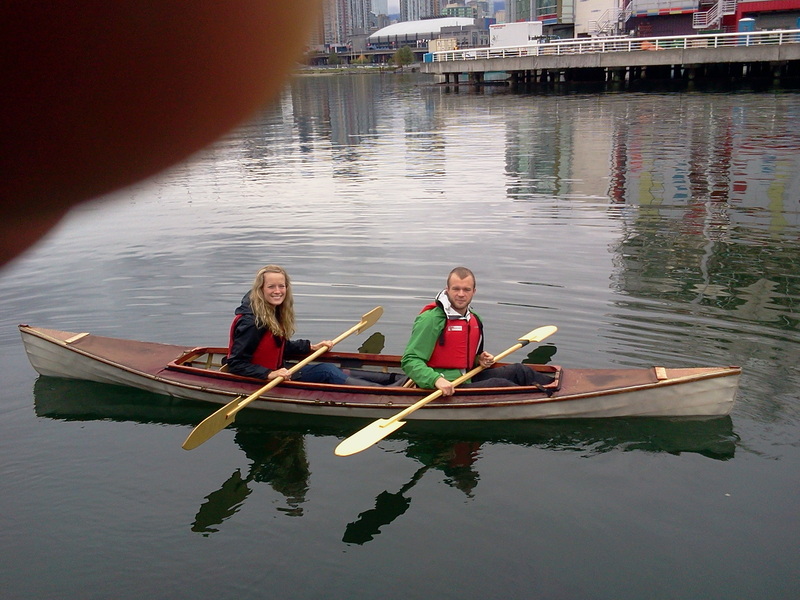 We paddled for several hours on False Creek in fairly calm conditions with waves from the wakes of passing powerboats enlivening our paddling experience. 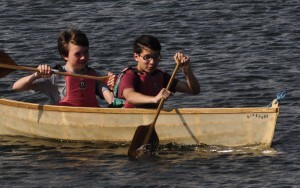 As expected, these boats handle very well. They are exceptionally nimble, turn quickly, yet track well. 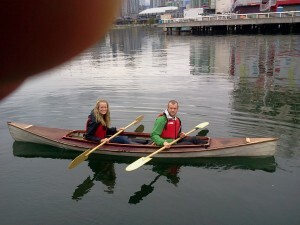 Participants in the boat building class held in the Naramata Centre, Naramata, B.C. We finished the boat on Saturday. The varnish was still a bit soft but we went out for sea-trials yesterday with a Minn-kota Endura 30lb thrust motor and it ran beautifully. The boat tracks like an arrow even in powerboat wakes. 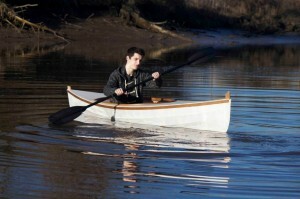 It is a very stable, very quiet, and fast fishing boat. My name is Antonio Prado, and I live in Santos, south of Brazil. I’ve bought your video “Build your own skin-on-frame UL canoe”; you give lots of information that are hard to get elsewhere and, above that, you SHOW how simple it is to build the boat. “PROGRESS! 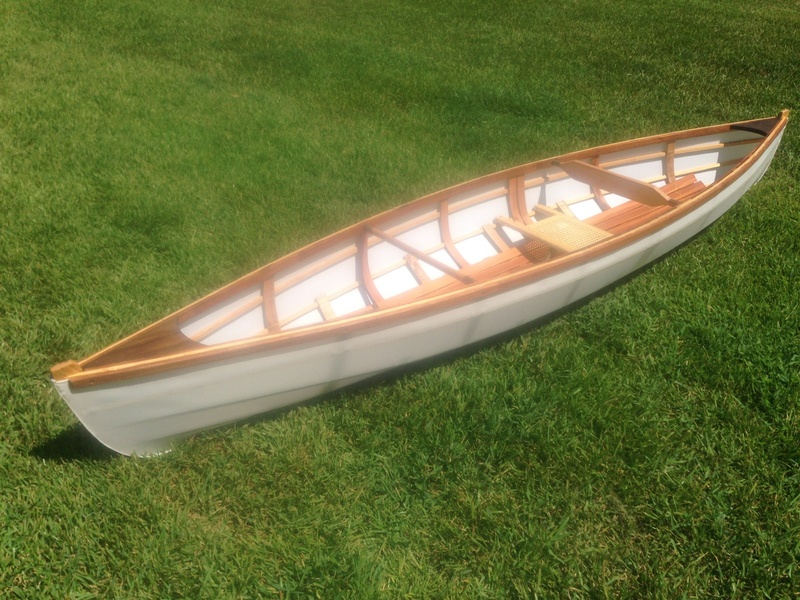 Ribs are in, Canoe is off the form! A word on design… IT’S AWESOME! 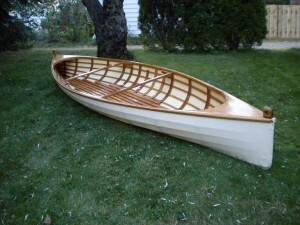 Upon popping the boat from the form, every odd bend in the gunwales or stringers relaxed and the boat took an amazing form. The boat weighs in at around 10-12lbs currently. This boat looks AMAZING. I can’t believe how fast it has come together. more skins in a bit. Means we’ll hopefully have done 5 boats in our downstairs suite before the in-laws move in later this spring or summer; ha! thought you might like to see the pic.